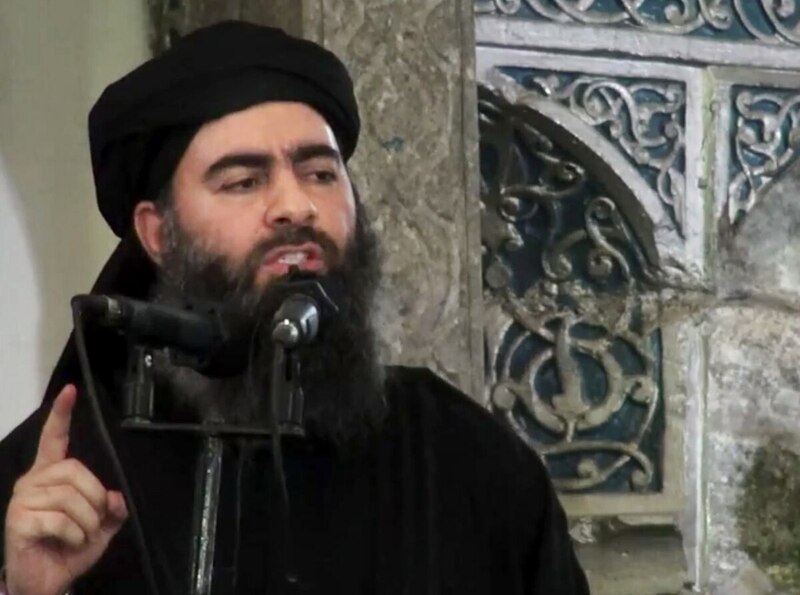 BEIRUT — The Islamic State group has released a new audio message, purportedly of its shadowy leader Abu Bakr al-Baghdadi, the first such recording to emerge in almost a year. In the audio, the speaker urges followers to “persevere” and continue fighting the group’s enemies everywhere. The 54-minute audio, titled “Give Glad Tidings to the Patient,” was released by the extremist group’s central media arm, al-Furqan Foundation, late Wednesday. The U.S.-led military coalition fighting the war on IS said it could not yet verify it was al-Baghdadi’s voice on the recording, or even whether he was still alive. Col. Sean Ryan, a military spokesman, said al-Baghdadi has been “irrelevant for a long time” but remains a priority target in the war on the group. Al-Baghdadi’s only public appearance was in 2014 in the northern Iraqi city of Mosul, shortly after the group declared the establishment of its so-called “caliphate.” The extremist group has since lost around 90 percent of the territory it once controlled in Iraq and Syria. The Islamic State extremist group has up to 30,000 members roughly equally distributed between Syria and Iraq and its global network poses a rising threat — as does al-Qaida, which is much stronger in places, a United Nations report says. Al-Baghdadi has been reported killed or wounded on a number of occasions. Last year, Russian officials said there was a “high probability” that al-Baghdadi was killed in a Russian airstrike on the outskirts of the Syrian city of Raqqa, but U.S. officials later said they believed he was still alive. He is believed to be hiding somewhere in the desert that stretches across the Syrian-Iraqi border region. An audio message said to have been recorded by al-Baghdadi was released on Sept. 28, 2017, in which he called on his followers to burn their enemies everywhere and target "media centers of the infidels." The latest message gave no clues as to where it was recorded. The speaker congratulates followers on the occasion of the Muslim holiday of Eid al-Adha and makes references to current events, including Turkey’s row with the United States over its detention of American pastor Andrew Brunson. That would date the message to this month. "America is going through the worst time in its entire existence," the speaker says, adding that Russia is competing with the U.S. for regional influence. He also criticizes rebels in southern Syria for surrendering to President Bashar Assad’s forces, calling them traitors, and urges fighters to join ISIS instead. He urges patience, perseverance and continued jihad, or holy war.